My birthday was one of the wettest days so far this winter but I wasn't going to let that stop me from having fun. I wore my new tie-dye print Freak of Nature tie dye print pencil skirt from ASOS which conveniently matched my much loved colourful Gorman umbrella (which was sent to me last season) and my new fave Juju Chelsea style gumboots. I love my purple Symantha Rose necklace so much so when Samantha offered to make me a pink one for my birthday I was overjoyed. Just a note on disclosure of freebies on my blog, I have always disclosed when something was given to me for free, I bought the first purple necklace myself and not at a discount. I believe in supporting young designers and local businesses and I do that two fold - firstly by buying their work and secondly by blogging and promoting it on my social media channels. I'm lucky to be in the position I am in and I want to give back to the fashion community. 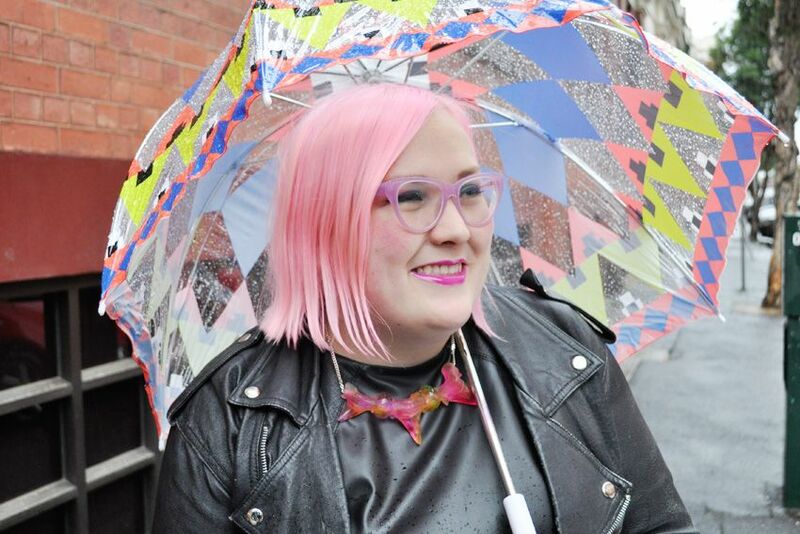 So yes the Gorman umbrella was sent to me by their PR last year and the glasses I'm wearing were sent to me from Bespecd. 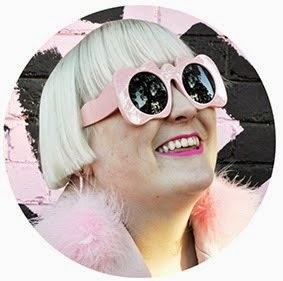 The way I disclose is by saying they were sent to me in their first appearance on the blog, so this is the umbrella's first appearance but the glasses were disclosed in this blog post. Let me know if you think I should be clearer in my disclosing of freebies but I do try my best at giving you a clear picture, but essentially if it doesn't say 'sent to me' I bought whatever it may be myself with my own money. More information on my disclosure policy can be found in my new FAQ section. 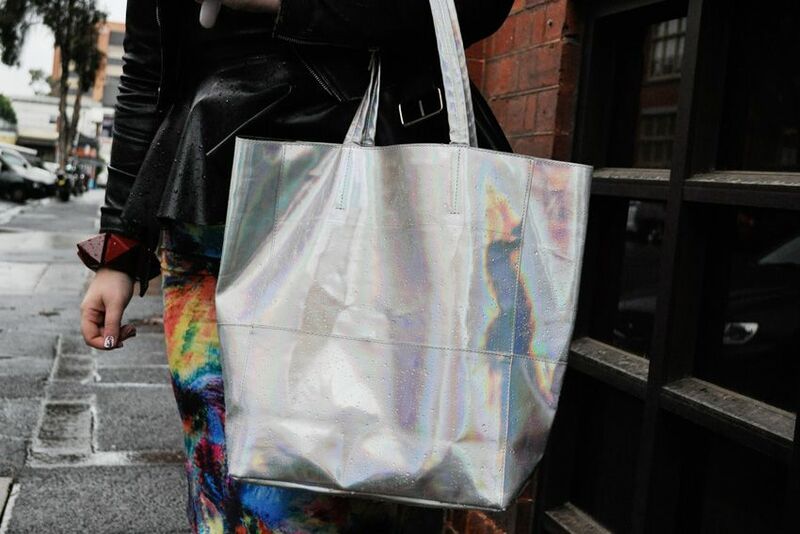 So grey and wet but my fun iridescent tote from Sportsgirl cheers up the scene. I bought this bag with my Sportsgirl 20% off blogger discount card - a magical card that just arrived at my house one day. I didn't ask for it but hell if I won't use (and abuse) it, lol. Is this the sort of thing you think I should disclose? Let me know in the comments. Another one of my birthday presents were these awesome Egyptian style NCLA designer nail wraps by Melody Ehsani from Dana Lenko (my friend who is also the owner of one of my fave inner city boutiques, Lenko). Thanks Dana! Look at all the rain drops. These gumboots are the best as they don't look like your normal everyday gumboots, in fact they look so much like chic leather Chelsea boots that the ASOS website has made a mistake - advising in the care section to 'avoid contact with liquids'. 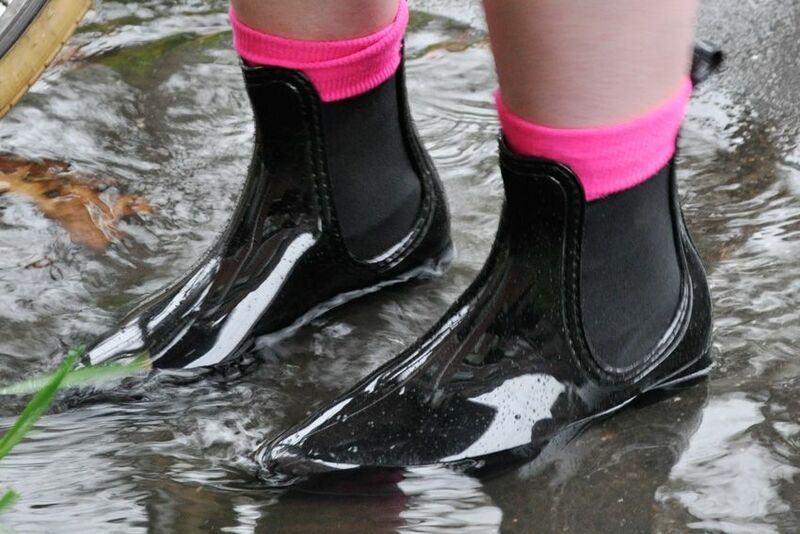 As they are 100% rubber and not at all leather and labelled as wellies/gumboots on Juju's own website I suggest you go jump in as many puddles as you like wearing these! Love the photo of you standing in the puddle! Great outfit! cool outfit! i hope you had a wonderful birthday! 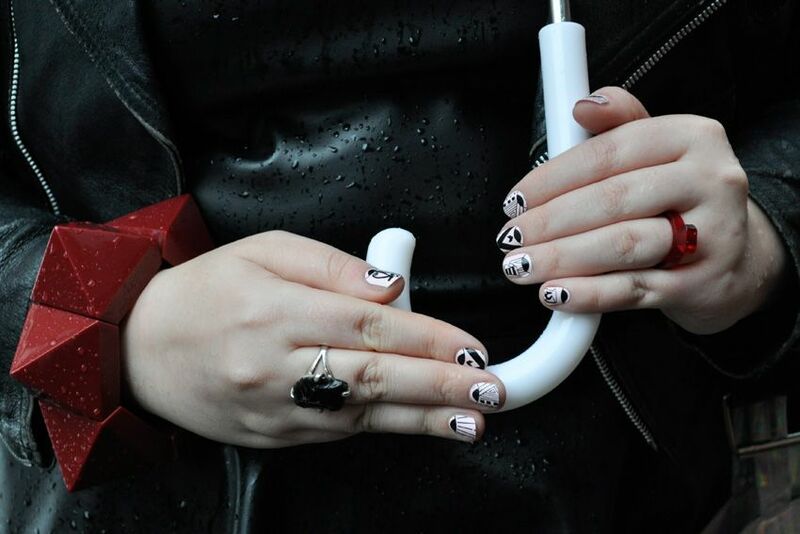 the umbrella makes any rainy day bright again! Ps You get the best free stuff! !